Enjoy an extract from Katerina Diamond’s latest chilling tale called ‘The Promise’. Imogen put her hands on her hips and looked around the room some more. It was a small space and they were on the verge of being in the way, so she signalled to Adrian who stepped out of the room first. She followed him, nodding to the technicians, and they headed down the corridor, peering into the bathroom. Another technician was in there taking swabs and samples. They would have to come back when it had been properly processed; there simply wasn’t enough room for everyone. This initial assessment would have to do for now. DCI Mira Kapoor was standing in the lounge when they got downstairs. She had a suitably sombre expression on her face. She always behaved the way she was supposed to behave, said what she was supposed to say when in public. At the same time, she was quite rebellious, at least on the sly, in her office where it mattered. She listened when she needed to listen and she never took any action that wasn’t carefully considered. Imogen was quite taken with her, although she still reserved some judgement; she had been burned by her superiors before. As they went to leave, the DCI spoke again. Imogen nodded to Adrian who carried on outside. The DCI gestured to Imogen to come closer and jerked her head at Adrian’s fast retreating back. 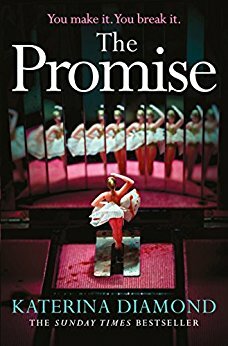 You can buy The Promise from Amazon and will be available to buy from good bookshops.